You are here: Virgin Islands News Online » News » UPDATE: Report on police killing of Santo Y. Hernandez In! UPDATE: Report on police killing of Santo Y. Hernandez In! 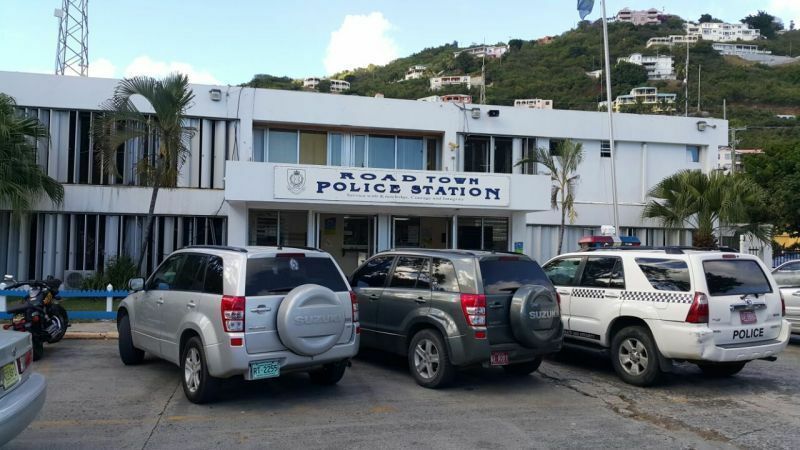 ROAD TOWN, Tortola, VI- Earlier today, Saturday March 10, 2018 after our newsroom published a story inquiring about the 3-month old investigation into the killing by members of the Royal Virgin Islands Police Force (RVIPF) of Santo Y. Hernandez, Commissioner of Police Michael B. Mathews, who is believed to be overseas, made contact with our newsroom. Mr Mathews confirmed he received the report from the Royal Turks and Caicos Police Force on March 8, 2018. Governor & DPP have report; What's next? After being pressed on whether he had read the report, the top cop who has been popular with the public, said “yes” but declined to comment further. Mr Mathews also categorically denied that there is a cover up over the findings of the killing by his police officers of Mr Hernandez, who was buried recently in his native land the Dominican Republic. - Families of the deceased, civil society & the media becoming suspicious after probe began on December 11, 2017 but to date the report not provided! On the morning of December 6, 2017 members of the Royal Virgin Islands Police Force (RVIPF) found and pumped some two bullets into the body of late fugitive, Dominican Republic national Santo Y. Hernandez. According to our National Security Council (NSC) sources, the deceased was shot two times by RVIPF officers, once in the upper abdomen and the other in the left leg. It remains unclear how many shots were fired and by how many police officers in the recapture efforts, but only two hit the 38 year old Hernandez. There was also confusion over whether Mr Hernandez, one of three escaped prisoners who were still on the run after some 143 inmates broke out of Her Majesty’s Prison on Tortola following Hurricane Irma on September 6, 2017, was armed with a gun. Mr Mathews stopped short of advising the public on the level of “violence” that the late Hernandez, was engaged in. The dead man was accused of the murder of Alston E. Penn in 2017, but did not live to be tried or convicted of the crime. Confusion was cleared up over the issue of whether Mr Hernandez had a gun or a knife on the morning of December 6, 2017 when NSC officials, after receiving their briefing, confirmed to our newsroom that he only had a knife. 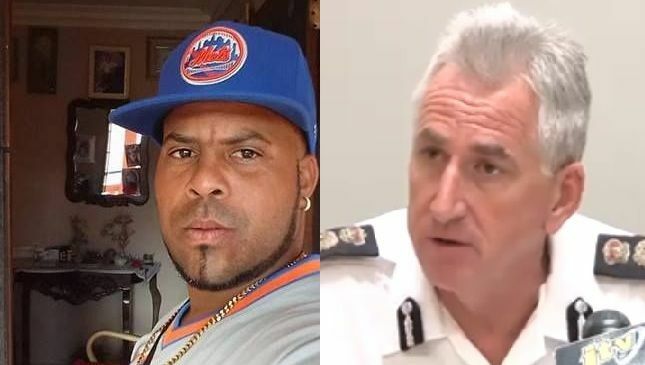 A day later, Commissioner Mathews told the public that he had ordered an investigation into the police killing of Mr Hernandez and it will be “transparent” and “independent”. On Monday December 11, 2017 some 12 police officers from the Royal Turks and Caicos Police Force arrived in the Virgin Islands to conduct the investigations. On February 5, 2018 our newsroom again inquired about the promised report and was told that is was “not ready” and “the report was not handed over” to Mr Mathews by the investigators from the Turks and Caicos Police Force. 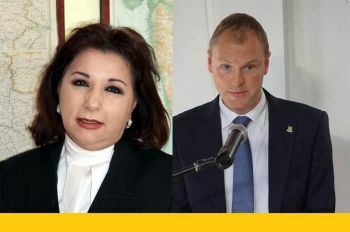 At the end of February 2018, another two and half months since the probe started, we again checked in with Commissioner Mathews and were told “the report was still not ready” as nothing was given to him; however, Mr Mathews said he will share a copy of the report with Governor Augustus J. U. Jaspert aka ‘Gus’ and they will take it from there. Today March 10, 2018 marks some three months since the probe began; however, the police have not been forthcoming with the report and the family of Mr Hernandez, some elements in civil society and the media are becoming suspicious on this matter and some have even claimed there is a “cover up”. Mr Mathews, when asked about the cost of the investigation, only said he suspects it to be "very low" if they are billed at all and it may only include for "flights and accommodation". Smh so sad that it appears more energy was put into the cause of death of this criminal than in the killing of other law abiding citizens. This man was a murderer. Why is the police wasting time. Take time to catch killers of Franklin Penn and Trinity Moses. To Big Deal - I totally agree with you on that. And I must add it is very sad that some in the community know who the killers are but refuse to speak up. It is quite clear that the death of Mr.Penn and an innocent child didn't seem to mean much to some people,but there are still many in the community who were touched by her death and are still waiting for justice. The hearts of men are evil and filled with darkness,but believe me the heart of an innocent child is filled with the love of God and ALL THE KILLERS and those involved will get their punishment one day. Why would the DPP have that report already, that report should be going to the Coroner for the purposes of holding an Inquest and if so a jury is to decide if there was any unlawful act and recommend what should happen, not the DPP as yet. They putting the cart before the horse. To much Double Standard going on. Those guys getting throw under the boss like Food and Robbie. Watch you see what going happen here. @ Incredible, you chatting a bunch of sh*t. This is not a matter that can be compared to the foolish act of food and Robbie. These fellas will be vindicated. Food and Robbie broke the darn law and people like you continue to make them believe that they have done nothing wrong. They were not untouchable. When you have the law on your side, used it, not abuse it. The DPP will advise on publication. You pass English comprehension in primary school? I understand that people are happy that he Is dead because he is a known bad man and may have taken others lives, but there is also a flip side. What if it comes out that he as killed so vital information pointing fingers at guilty police officers was the reason they wanted him hushed up? Either way, he caused himself to be killed by evading the law and being aggressive when cornered. My heart still goes out to the Penn family who lost 2 sons and to the family of little Trinity. I hope they will have closure soon. Person or persons who harboured the at large fugitive, seems to me, should have been arrested. Is that not a crime in Tortola the same as everywhere else? Were they given the okay to leave and go to parts unkmown? @Jaigon Jumbie, You really a Jumbie in truth, watch I never said Food and Robbie was right for what happened. I'm saying why would such a report go to the already, only if there is doubt about the action of the Officers involved. The first thing should happen that report should go to Coroner instead. The DPP job is only to institute CRIMINAL PROCEEDINGS against any person who may have committed a crime. R we saying they may have committed a crime?. DPP just want to be in thing. Incredible, do you have any idea what’s in the report. Did you stop to thing that if the DPP see it fit that the report should be turn over to the coroner she will not do it. Your very comment about throwing food and Robbie under the bus is suggesting that the did nothing wrong. Are you not suggesting that the police force should have cover up their wrong. If the new standard is Police in the bvi can go around killing all the law breakers, accused murderers and we have like 10 of them at HMP so get the guns out, then we have become a sick society and do not need the court system. As wicked as he was henedez deserved his day in court or else we become a lawless society and police state. @not2sure. So the police should have stand there and let him kill one of them then. Some of you people are just sickening. Advice on publication, what are you really saying, that the DPP will advised the Governor and the Commissioner, that the report should be published, base on it's contents? So you further saying that it could be a cover up if there is doubt the actions of the police, and if they acted appropriately then it should be released. What analogy is that? This thing about advice on publication don't make no sense even to lower IQ person, so you chatting pure BS. The ting is, whatever he knew, the larger community of the Santoses knew and knows. Willing to bet he was sheltered by members of that same community. Whatever the findings, it doesn't rule out that he deserved to be hunted like a beast and slaughtered. These tribes of the VI need heavy agressive disruption to upset their comfort of laid back" defy immigration, law enforcement ,human trafficking and soliciting" comfortable don't give a rats pertutti habits . Take back your BVI folks. Down with the Trijullo dregs. @Boo. Shut your pie hole. Its a direct quote from the article's third paragraph, I ain't chatting or saying nothing. Ask the COP what he meant by that but it was quite clear what they reported he said"
He is popular with the public? You cannot be serious. He has presided over the greatest crime wave ever and generally speaking does nothing. Not just about murders but about the scooter nuisance for example. The sooner he is gone the better.